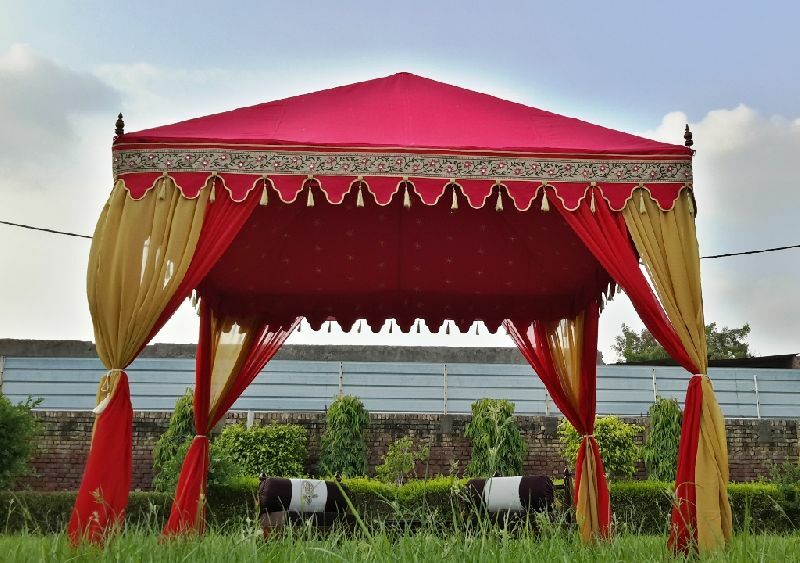 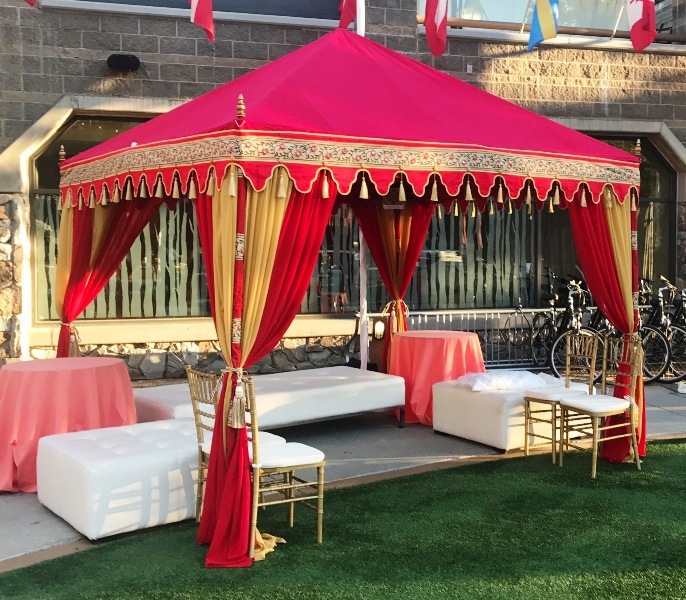 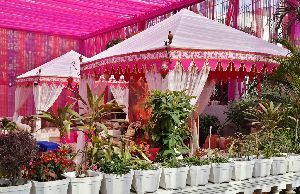 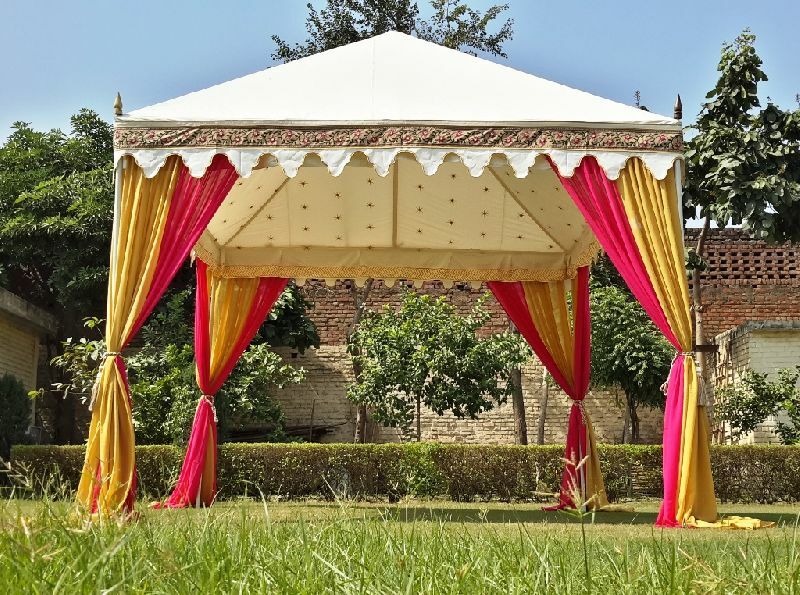 Indian Tent is an ideal option for Wedding Ceremony. 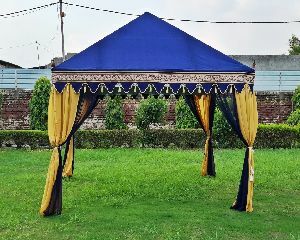 We are known as one of the prominent Chaupal Indian Tent Manufacturers, Exporters, and Suppliers from India. 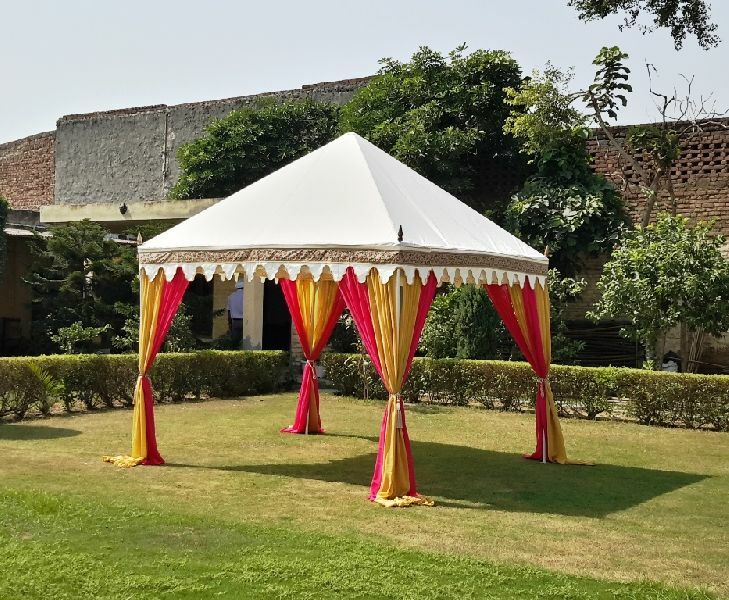 The Chaupal Tents is offered by us in a wide range of sizes and designs to suit varying demands of the clients. 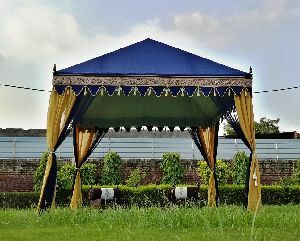 The Chaupal Tent is available with us at reasonable prices. 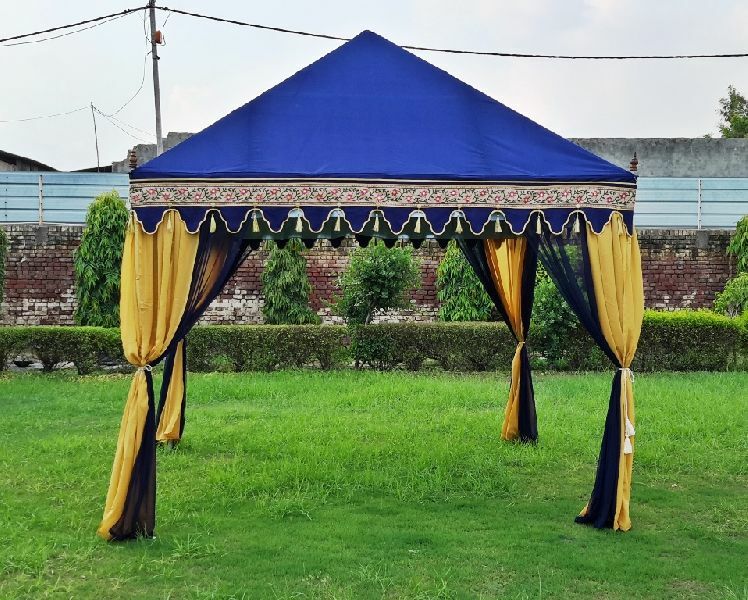 Tent Top : It is made up of two layers, outer of water-repellent natural color dyed cotton canvas and inner of block printed cotton sheeting which gives a fancy look. 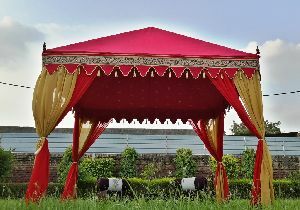 Canvas Walls : Outer of water-repellent cotton canvas and inner of cotton sheeting. 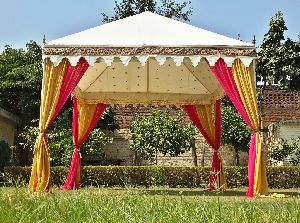 Accessories : Selected bamboo poles with pole covers, Round carved wooden pegs, Wooden Hammer, Carved wooden pole caps.